Delhi government has issued a notice to AAP chief Arvind Kejriwal asking him to pay a rent of Rs 85,000 per month for the flat in which he had been staying in for over a month even after resigning from the chief minister's post. Kejriwal had sought an extension to stay in the C-II/23 house at Tilak Lane in central Delhi till his daughter's examinations in May. The notice was issued by the special secretary of Public Works Department on Monday. When asked, an AAP spokesperson said Kejriwal will pay the rent. As per the notice, Kejriwal has been asked to pay Rs 85, 000 per month as rent from March 1, that is 15 days after he resigned from the chief minister's post on February 14. Sources said the former chief minister has been asked to respond to the notice within a week. Earlier this month, PWD had sent a letter to Kejriwal asking him to vacate the house as he had already crossed the 15-day deadline for staying in the official accommodation. 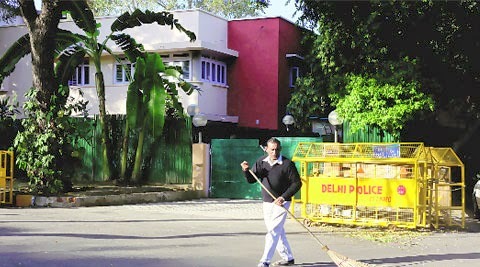 As per norms, a Delhi government minister can stay a maximum of 15 days in his official residence after demitting office without paying market rent. Kejriwal in return had sought an extension to stay in the house till his daughter's examinations got over in May. According to sources, the notice was issued to Kejriwal after taking the Lt Governor's approval. The PWD sent the letter to Kejriwal after the urban development ministry had asked the Delhi government to return the flat which had been allotted to Kejriwal as chief minister.